According to both national and local Denver news sources, FBI agents participating in the Brett Kavanaugh investigation spent time interviewing Tim Gaudette on Tuesday. Gaudette, who is now living in the Park Hill neighborhood of Denver, Colorado, was a high school classmate of Kavanaugh’s at Georgetown Prep. The FBI’s interview with Gaudette is significant, because of an alleged July 1, 1982 gathering referenced on Judge Kavanaugh’s high school calendar. The event was supposed to have taken place at “Timmy’s” house. The “Timmy” referenced is known to be Tim Gaudette. Kavanaugh told the Senate Judiciary Committee that “skis” referred to “brewskis”, or beer, and that each of the names referenced referred to male friends. But according to the Washington Post, Kavanaugh’s July 1, 1982 calendar entry “has become the focus of lawmakers’ concerns.” Democratic senators on the committee have questioned whether or not that gathering could have been the location of Dr. Christine Blasey Ford’s alleged sexual assault. Ford claims that while she is “100%” sure that Brett Kavanaugh was her attacker, she does not recall the specific date, time, or place of said assault. So far, no one has been able to corroborate Ford’s story. Tim Gaudette’s attorney, Kenneth Eichner, confirmed to the Washington Post that his client was indeed interviewed on Tuesday in Denver by the FBI, but declined to comment further. 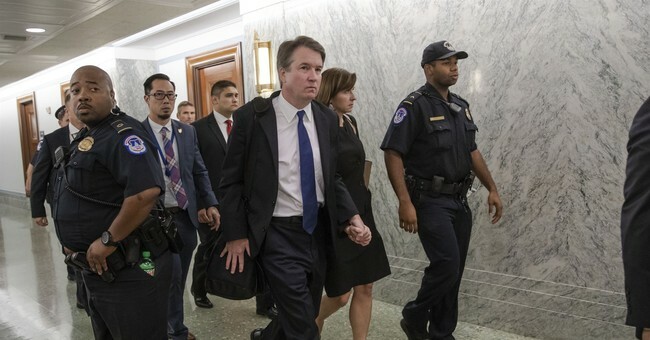 The recent FBI interview with Gaudette came after President Donald Trump authorized the FBI to broaden the scope of the Kavanaugh investigation. The FBI had already conducted interviews with Mark Judge, another high school classmate of Kavanaugh’s. Judge has repeatedly denied having any knowledge of the alleged sexual assault on Dr. Ford, and has also denied the now largely-discredited accusations from Julie Swetnick--namely, that both Judge and Kavanaugh were present at parties where women were routinely drugged and gang-raped. Chris Garrett, yet another Georgetown Prep graduate and high school friend of Brett Kavanaugh, has also been interviewed by the FBI as part of the investigation, according to Garrett’s lawyer William M. Sullivan, Jr. The attorney has declined further comment. A Denver7 news crew reportedly visited Gaudette’s Denver home on Tuesday evening, but were met only with a note conveying contact information for his attorney. The FBI may reportedly conclude their investigation as early as today.